How can massage help poor posture? How can remedial massage help poor posture? Bad posture is more than just a matter of unsightly slouching. Long term posture issues can have debilitating musculoskeletal effects and should be corrected as soon as possible. Repetition of bad habits like slouching, sitting incorrectly and allowing muscles to become inactive, can lead to postural dysfunction and imbalance. If these habits are continued for long enough, the spine and other joints can be pushed out of their normal alignment. Postural dysfunction and imbalance can cause many issues such as spinal dysfunction and joint degeneration. The sufferer has prominent tilting of the hips, increased curvature in the lumbar spine, and a protruded stomach. If left untreated, the extra demand on the phasic muscle fibres can cause the supporting muscles to weaken through lack of use. These unused muscles become tighter or shorter, which has an impact on the bones of the spine. Overstressed and overstrained muscles can cause pain in the neck, shoulders, and base of the spine. They can also result in headaches and back pain. Reduced chance of developing related conditions such as headaches, frozen shoulder, carpal tunnel syndrome. Massage therapy can be an effective form of postural correction. Massage loosens the overworked muscles that have been affected by poor postures and allows your body to relax into its natural – and pain free – alignment. As your body re-positions itself into a more healthy posture, you are less likely to repeat the actions that you may have fallen into due to habit and to avoid further pain. Postural realignment uses very specific techniques so be sure to talk to your massage therapist first to ensure that you are receiving the best treatment to enjoy the best results. 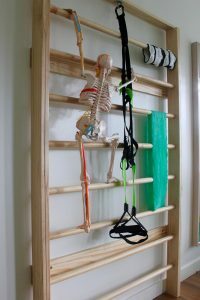 These can include trigger point therapy, muscle energy techniques and stretching, joint mobilisation, and the creation of a rehabilitation plan for you to help your healing at home. – Stretches: Ask your massage therapist about exercises you can do at home to stretch your muscles and relieve pain. – Yoga: The poses performed in yoga are excellent for promoting better posture, and working your core muscles helps your body stay aligned. Here’s a great article on the benefits of yoga. – Pilates: Designed for posture correction, Pilates aims to strengthen the stabilising muscles around your spine, while stretching the overused phasic (movers) muscles. 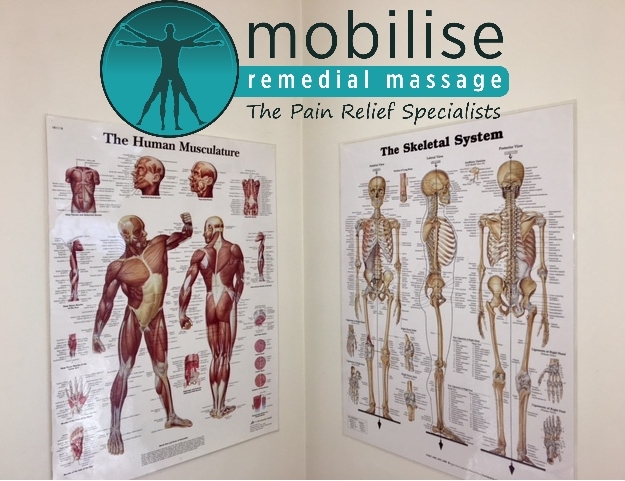 Mobilise Remedial Massage has a team of experienced massage therapists on hand to provide the best treatment for the pain and discomfort associated with postural dysfunction. Speak with a Brisbane myotherapist today by calling 0473 090 442 for our Toowong practice, or book online now.